The Ferrari 308 GTB is the definitive affordable sports car. From Ferrari, the makers of world renowned, luxury sports cars, the Ferrari 308 GTB has an uncharacteristic medium-sized engine. Although it was at the lower end of the class range in terms of price tag, it is a consistent top rater in almost every sports car list. The name Ferrari has always been synonymous to high end sports cars. Highly popular for their long line of breath-taking, streamlined and powerful designs, Ferrari surprisingly reached to the mainstream car enthusiasts with the release of the Ferrari 308 GTB. Definitely one of the most reasonably priced models that Ferrari has ever created, the Ferrari 308 GTB has become the most frequently copied Ferrari model. Some even will consider it the best sports car of all time. Ferrari 308 GTB, having the distinction of being designed by the famous Italian car designer hub, Pininfarina, was launched in the 1975 Motor Show held in Paris, France. More stylish than its predecessor, the Ferrari 308 GTB is a two-seater with sharp lines which can be rather aggressive at first glance. This car was however considered by sports car enthusiasts as one of the most picture perfect designs even when comparing it to other hot Ferrari models. 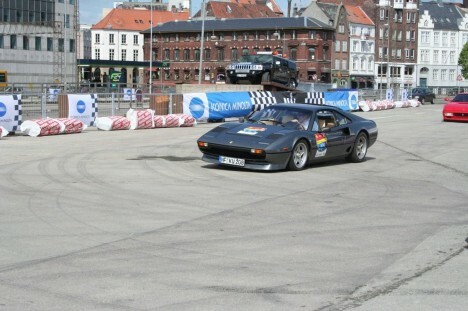 One of the Ferrari 308 GTB’s predecessors, the 308GT4 is quite similar to the 308 GTB in terms of mechanics. Both vehicles share the same platform made of a tube-frame. More importantly They also have the same double wishbone suspension as well as similar outstanding V8 engines. The only major difference lies in their wheelbase where the Ferrari 308 GTB has a 92-inch wheelbase, whereas the 308 GT4 made use of a much longer and very intimidating wheelbase. The original 308 GTB model was also made entirely out of fiberglass except for the car’s bonnet which was made primarily using aluminum. However, Ferrari decided to switch to using steel after releasing only 800 fiberglass cars. The Ferrari 308 models have the distinction of being the most popular Ferrari car models ever produced. With a staggering 12,000 models under the 308 line, the Ferrari 308 GTB is undisputedly at the top of its class carrying with it the legendary name Ferrari. Being both affordable and elegant at the same time, the Ferrari 308 GTB will always have a special place in the hearts of car enthusiasts and critics alike! Lower displacement and lower powered versions of the Ferrari 308 GTB were released during the 70’s due to the tax system for automobiles and strict emission laws passed during the period. You can just imagine the joy of car enthusiasts world wide when the updated version was released back in the early 80’s at the Paris Motor show. With a noticeable increase in horsepower, the Stallion was once again released! This updated model now featured the prancing horse as the new Ferrari symbol.